You look straight in front of you. You inhale deeply. You arch a little bit your back and squat down. When your thighs are parallel to the floor, straighten your legs to return to the starting positon. Exhale at the end of the effort. 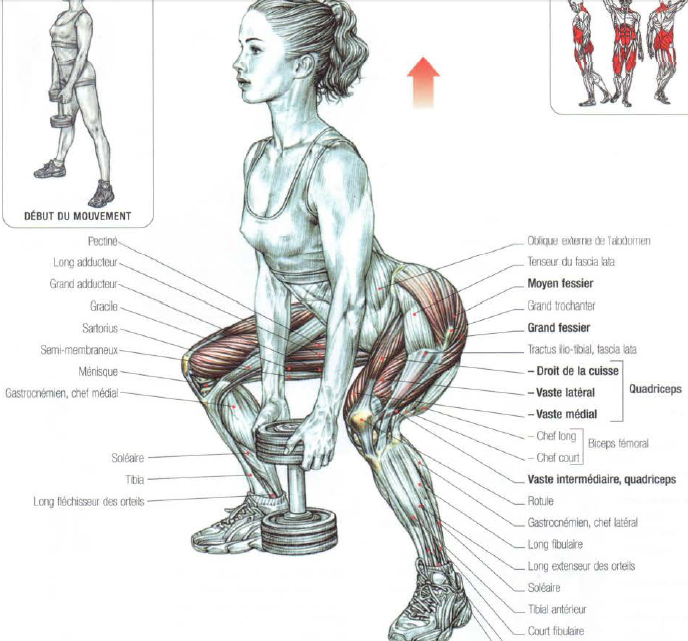 This exercice mainly works quadriceps and glutes. The stretched position of your thighs allows you to work your adductors.